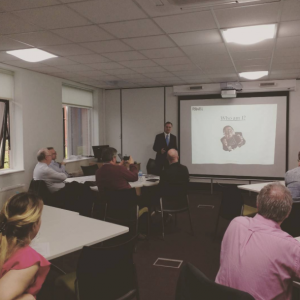 November 2015 saw us give a talk to fellow accountants and software companies working with Xero on how cloud computing has helped us in growing our accounting practise. The talk was part of a workshop on the future of accountancy organised by Philip Oakley from OutserveWeb, Staffordshire’s leading technology consultants at Wolverhampton University’s Science Park. Other speakers spoke about the history and future of accounting, and how specific Xero “add-ons” can really help a business with expense reporting, cash-flow and reporting. All of these being potentially value-added services that accounting practises can offer their clients on top of traditional tax and accounting compliance services. This was the opportunity to share how we have grown our practise substantially in the last 12 months with our Black Country and Staffordshire peers. What Are Top 3 Favourite Tips To Growing Your Accounting Practise? Up to April 2014, our practise was in a rut - neither growing or shrinking. In 2015 we have grown the number of Limited Company clients from 31 to 63. A doubling in size which has led to new larger offices being required to cope with the growth. Word of Mouth lead generation, primarily networking. We had lived as a hermit in our office until the beginning of last year. Then we joined a BforB structured networking group in Rugeley which has helped us tell people we exist and grow our reputation. Mentoring. 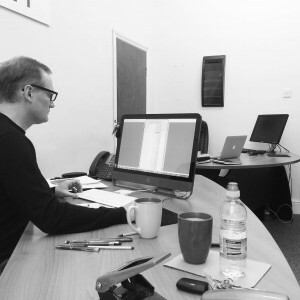 Through the Staffordshire Chambers of Commerce we found a mentor (Stuart Walton from Conspicuous CBM Ltd) who has challenged our marketing and business plans, and taken us outside our comfort zone to being more bold in our approach. Social Media. All those great tips we gave our clients as part of our excellent customer service is now put online through Twitter, LinkedIn, Blogging and other social media channels helping us grow our reputation as Staffordshire’s leading tax expert which helps us with existing and future clients. The above interaction with the business community then led to be introduced to Xero. Once we knew it would for our business, we introduced it to clients old and new. We have become evangelists for the platform and in the process have become Xero Silver Partners. Despite all the success we have had, we have never forgotten why we started our own accounting practise - Integrity. We have retained completely transparent pricing and as we have moved up the Xero partner tiers we have passed on these savings to our customers along with any other add-ons we feel worthy to promote. So if your are in a rut, then follow our simple tips for growing your accounting practise. All it takes is a little hard work, discipline, perseverance and a plan of action. The added bonus of being more active in generating leads through networking and social media, and being part of the forefront of technology with Xero, is that we are getting younger and more dynamic clients who are recommending us to their friends with confidence leading to a virtuous circle of client acquisition. In the end, success in growing our accounting practise has been down to the simple premise of using simple word-of-mouth techniques to let people know we exist, coupled with the use of Xero as a great technology USP and our integrity over pricing. If you know of any other great tips to help growing your accounting practise that can be shared with our readers then let us know via the comments or through LinkedIn. Don’t be shy about promoting your accounting practise. It is good for you, your bottom line and your business!